Khizr is a legendary guide in Muslim literature. Originally a character in the Quran who received knowledge from the Divine Presence, in literature he has become associated with the Fountain of Life: he drank from the fountain, gained everlasting life and now guides travelers who have lost their way. This is the kind of role envisioned for poets in the Garden. A gallery of poets appears. You see nightingales learning songs from them, roses becoming brighter with their rouge and moths borrowing passion. 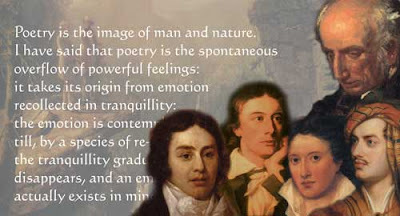 The music of these poets is breathing wonderful enchantment on the atmosphere and their look is making the fair, fairer. Nature is becoming more beloved – which explains how the Poet’s tears beautified Nature just before you entered the Garden. Caravans are marching at the sound of the poets’ bells and following the voice of their reed. You see the poets inviting the whole world to their table, making their gift as accessible as air. You are now seeing another group of poets. Their mirror shows beauty as ugliness. Their honey leaves a hundred stings in the heart. There is no life-giving rain in their spring and April is the cruelest month in their calendar. They kiss a rose and its freshness is gone. Nightingales listen to these poets and lose the joy of flying. Love, earlier perceived as boundless, now appears as a drunkard begging at tavern doors, stealing glimpses of beauty from here and there. The music of this second type of poets is now enchanting the atmosphere. Its effect is plunging you in an ocean of thought, making you a stranger to action. You observe captains of ships becoming enchanted by it and the ships being cast to the bottom of the sea. Quite the opposite of what Khizr is supposed to do! “Their opium is a poison for the nerves and you pay for their song with your life,” the Poet says to you. “They present loss as gain and everything praiseworthy becomes blameful. In there soul is a disease, and by their words our sickness is increased. Their garden is a mirage of color and perfume, their beauty has no dealings with Truth and there are none but flawed pearls in their sea. They preferred sleep over awakening, beware!” Contrast between the two types of poets is similar to that between genuine Sufism and the Sheep’s Doctrine. Just like genuine Sufis, the first kind of poets strengthen the self and show ways to gain “dominion over the outward and inward forces of the universe” while the other kind perpetuate that denial of reality which loosens one’s grip on life, like the Sheep’s Doctrine. Sweet is the world of phenomena to the living spirit, dear is the world of Ideas to the dead spirit. Now the Poet turns to you. “You seek your dawn in the glass of this other kind of poets,” he says. “Your heart has been chilled by their melodies. You have drunk deadly poison through your ear.” He had said that his own age did not know the secrets. Not only in his age but in any other too, it is in the nature of diseased poets to attempt monopolizing the craft and try establishing themselves as gatekeepers. The sickness of their hearts makes them incapable of connecting with their societies. "it is in the nature of diseased poets to attempt monopolizing the craft and try establishing themselves as gatekeepers. The sickness of their hearts makes them incapable of connecting with their societies." Of course I will come back to more carefully read, reflect and respond to the whole. By the way I am SO happy to see these chapters continue and well-worth the wait! A long wait but worth waiting as the result is a beautiful garden whose imagery is spell bounding. KAS is synonymous with class. If I know...this is white I must know that what is black...otherwise I cant say that the opposite of white is...what?? How might the poet and other "seers and sayers" connect and speak to the reality of cultural death and illness at times in order to help heal the same..while remain full of life and joy for the most part? I know the answer is hidden in the piece above...I just need a little help? Perhaps there's a connection here with Komal's question on "art" as a "sacred lie" ? Instead of what? How can we make national values human and beautiful? When does art and poetry while not complete ... help lead us back to beauty of a human, life-giving nature? Connie, Akhtar and Thinking, thanks. Poets and artists can connect to cultural death and still remain healthy and resurrect their dying societies by recognizing the value of humility. Nineteenth Century Indian Muslim society was dying. Its reformers, such as Syed Ahmed Khan (and later his successors Muhammad Ali Jauhar and Iqbal) adopted a two-pronged policy. They recognized the life-giving elements in the growing Western civilizations: Iqbal's devotion to Shakespeare and Goethe was unconditional and sincere. At the same time these intellectual leaders made it their sole purpose to "entertain" the masses. Problems of the present-day West starting by failing to do this. In 1857, when France lost India to the British, the French poet Baudelaire proposed "hypocrisy" as a literary ideal. Since then there has been a string of poets and artists who have been directly expressing their psychological diorders. Such expression can be valuable as clinical evidence if scrutinized according to a healthier standard but the fatal mistake of the Western elite was to mistake these psychological disorders as "new criticism" and let them replace the healthier standards, such as those upheld by Coleridge and Goethe. Even in the West, the masses refused to be entertained by these expressions. So it's not about the East and the West, really. Its about accepting the right of the masses to pass judgment on art (which is proposed here) or denouncing the majority of the humanity as unthinking brutes (which is the religion of hypocrites according to the Quran: "When they are asked, WHY DO YOU NOT BELIEVE LIKE OTHERS HAVE COME TO BELIEVE, they says, SHOULD WE BECOME LIKE THE IGNORANTS FOOLS? Nay, indeed they themselves are the ignorant fools but they know it not").